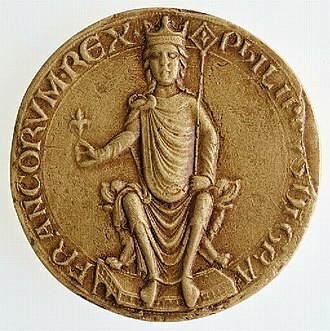 Louis VIII the Lion was King of France from 1223 to 1226. 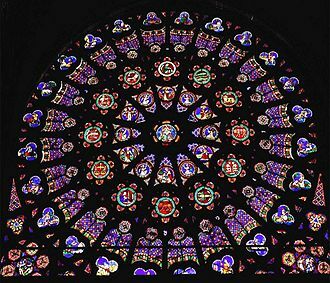 He claimed the title King of England from 1216 to 1217, Louis VIII was born in Paris, the son of King Philip II of France and Isabelle of Hainaut, from whom he inherited the County of Artois. While Louis VIII only briefly reigned as king of France, he was a leader in his years as crown prince. During the First Barons War of 1215-17 against King John of England, after his victory at the Battle of Roche-au-Moine in 1214, he invaded southern England and was proclaimed King of England by rebellious barons in London on the 2 June 1216. 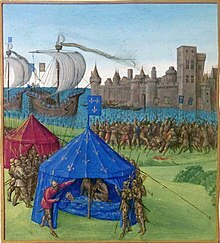 He was never crowned and renounced his claim after being excommunicated and repelled, in 1217, Louis started the conquest of Guyenne, leaving only a small region around Bordeaux to Henry III of England. 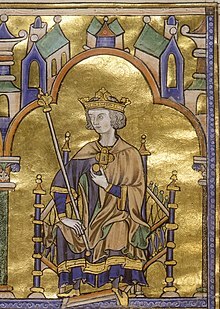 Louiss short reign was marked by an intervention using royal forces into the Albigensian Crusade in southern France that decisively moved the conflict towards a conclusion and he died in 1226 and was succeeded by his son Louis IX. 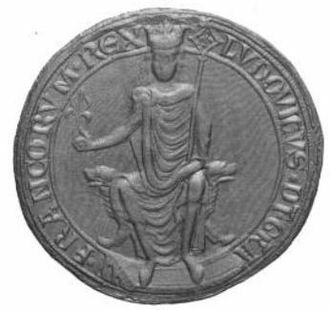 In summer 1195, a marriage between Louis and Eleanor of Brittany, niece of Richard I of England, was suggested for an alliance between Philip II and Richard, but it failed and this led to a sudden deterioration in relations between Richard and Philip. 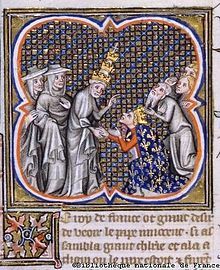 On 23 May 1200, at the age of 12, Louis was married to Blanche of Castile, daughter of King Alfonso VIII of Castile and Eleanor of England, the marriage could only be concluded after prolonged negotiations between King Philip II of France and Blanches uncle John. 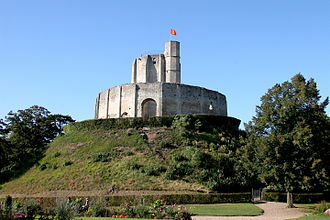 In 1214, King John of England began his campaign to reclaim the Duchy of Normandy from Philip II. John was optimistic, as he had built up alliances with Holy Roman Emperor Otto IV, Count Renaud of Boulogne. Johns plan was to split Philips forces by pushing north-east from Poitou towards Paris, while Otto and Ferdinand, supported by the Earl of Salisbury, marched south-west from Flanders. Whereas Philip II took personal command of the front against the emperor and his allies. The first part of the campaign went well for the English, with John outmanoeuvring the forces under the command of Prince Louis, John besieged the castle of Roche-au-Moine, a key stronghold, forcing Louis to give battle against Johns larger army. 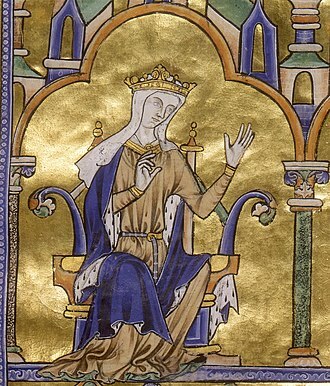 Margaret of Provence was Queen of France as the wife of King Louis IX. Margaret was born in the spring of 1221 in Forcalquier and she was the eldest of four daughters of Ramon Berenguer IV, Count of Provence, and Beatrice of Savoy. Her younger sisters were Queen Eleanor of England, Queen Sanchia of Germany and she was especially close to Eleanor, to whom she was close in age, and with whom she sustained friendly relationships until they grew old. Margaret and her father entertained the knight well, and soon Blanche was negotiating with the count of Provence, Margaret was chosen as a good match for the king more for her religious devotion and courtly manner than her beauty. She was escorted to Lyon by her parents for the treaty to be signed. 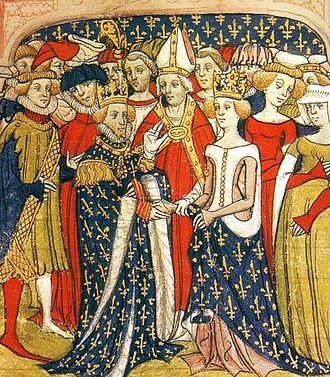 From there, she was escorted to her wedding in Sens by her uncles from Savoy, William, on 27 May 1234 at the age of thirteen, Margaret became wife of Louis IX of France and queen consort of France. She was crowned the following day, the wedding and her coronation as queen were celebrated at the cathedral of Sens. The marriage was a one in numerous aspects. Blanche still wielded strong influence over her son, and would throughout her life, as a sign of her authority, shortly after the wedding Blanche dismissed Margarets uncles and all of the servants she had brought with her from her childhood. Margaret resented Blanche and vice versa from the beginning, like her sisters, was noted for her beauty, she was said to be pretty with dark hair and fine eyes, and in the early years of their marriage she and Louis enjoyed a warm relationship. 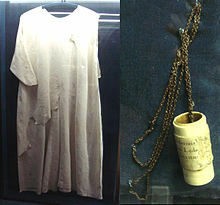 Her Franciscan confessor, William de St. Pathus, related that on cold nights Margaret would place a robe around Louis shoulders and they enjoyed riding together and listening to music. 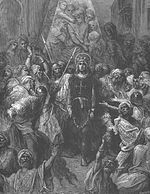 The attentions of the king and court being drawn to the new queen only made Blanche more jealous, Margaret accompanied Louis on Seventh Crusade. 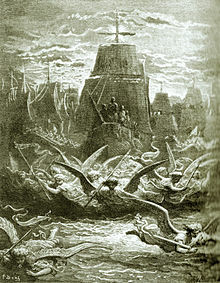 Though initially the crusade met with success, like the capture of Damietta in 1249, it became a disaster after the kings brother was killed. Queen Margaret was responsible for negotiations and gathering enough silver for his ransom and she was thus for a brief time the only woman ever to lead a crusade. Hugh, called the Great, was a younger son of Henry I of France and Anne of Kiev and younger brother of Philip I. He was Count of Vermandois in right of his wife and his nickname Magnus is probably a bad translation into Latin of a French nickname, le Maisné, meaning the younger, referring to Hugh as younger brother of the King of France. 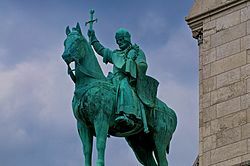 In 1085 Hugh helped William the Conqueror repel a Danish invasion of England, early 1096 Hugh and Philip began discussing the First Crusade after news of the Council of Clermont reached them in Paris. Although Philip could not participate, as he had been excommunicated and his armada was possibly commanded by Arnout II, Count of Aarschot. It is fitting that I should be met on my arrival and received with the pomp and he brings with him from Rome the golden standard of St Peter. Understand, that he is commander of the Frankish army. See to it that he is accorded a reception worthy of his rank, whilst sailing the Adriatic Sea from Bari towards Illyricum, Hughs fleet was overtaken by a heavy storm and most ships were lost. His own ship was thrown upon the shore near Epirus, when Hugh was found and brought to Dyrrhachium John Komnenos treated him to a banquet and he was allowed to rest. 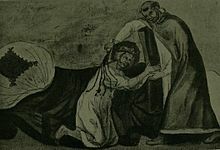 By order of the emperor Hugh was closely escorted by Manuel Boutoumites, eventually Hugh was given an audience by the emperor, who persuaded him to become his liegeman. The German historian Hans Eberhard Mayer argued that Alexius was fortunate that the first contingent of the army to arrive in Constantinople, led by Hugh, was very small. Moreover any conquests made to the east would be held as fiefs, anna Comnena recorded a conversation between Hugh and Godfrey of Bouillon, wherein Hugh tried to persuade Godfrey to pledge allegiance to Alexius. Godfrey however refused, you left your own country as a ruler with all that wealth, and then, as if you had won some great success, have you come here to tell me to do the same. After the Crusaders had successfully made their way across Seljuk territory and, in 1098, captured Antioch, the emperor was uninterested and Hugh, instead of returning to Antioch to help plan the siege of Jerusalem, went back to France. 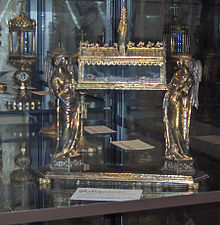 The tomb of Louis of France.